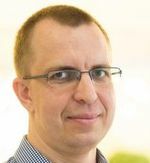 For test the algorithm and their conversion into VBA code in Excel. I chose to create the game. This game I will widen. This game is only for my testing and learning. 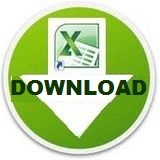 No guarantee functionality in all Excel (Tested in Excel 2010 CZ, Windows 7 CZ). Control is with the arrow keys (up, down, right, left) in the designated area. The challenge is to come in the finish and on the road collect ducats. How is the game programing? In preparation. The workbook is unlocked, you can all edit. 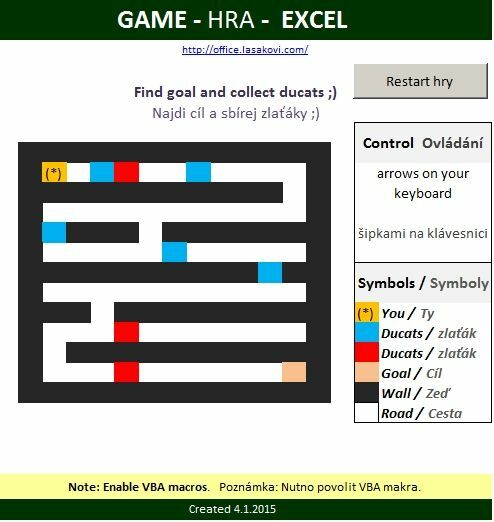 File Game in Excel for free download. File uses VBA macros. For function the game it is necessary to enable the macros in Excel. What is your favorite game created in Excel?